I have to admit I was hesitant to take a listen to this new song by the former frontman for The Walkmen, since they were such a fave band and he's now going solo. (Read about the band's "hiatus"as I wrote about it last December here and revisit the heartbreaking tune "Heaven" witnessed live at BAM two years ago, recently featured in the finale of How I Met Your Mother, in the video at the end of this post.) This video was shot with friends in his new home of New Orleans after growing up with fellow members in the D.C. area before moving to NYC to make it in the indie music scene. It's actually directed by the Walkmen guitarist Paul Maroon and it really is comforting to see Leithauser so at ease on his own, bombing around on a bike and doing what he does best -- singing. 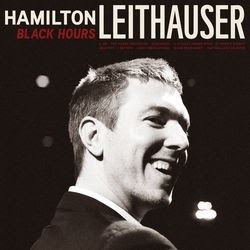 So much of the group's sound hinged upon Leithauser's passionate, cut-to-the-quick vocals, and when his voice enters in "11 O'Clock Friday Night" there's an emotional pull back into the music with welcome relief. The instrumentation has less of the Walkmen tight band aesthetic, things are now more global in approach with ample use of vibraphone. Amber Coffman of The Dirty Projectors adds some subtle backing vocals, but it's still Leithauser's show and I'm all for it. Can't wait to hear the entire album, Black Hours, due June 3 via Ribbon Music. N.B. Leithauser will also be performing at Joe's Pub with two shows April 15 and 16.